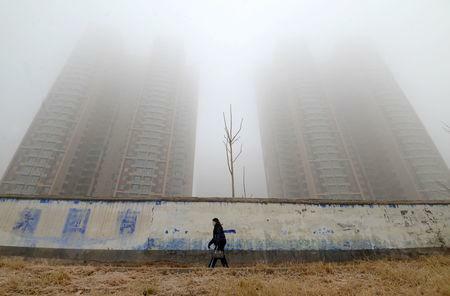 Average concentrations of small, hazardous particles known as PM2.5 in two major northern Chinese emissions control zones climbed 16 percent from a year earlier to 114 micrograms per cubic metre, according to Reuters analysis of official pollution data. Anyang, a coal and steel producing city in Henan province, was the worst performer over that period, with average concentrations at 124 micrograms, up 27 percent. Henan has blamed its poor performance this winter on "unfavourable weather conditions". Most of the cities are aiming to cut pollution by 3 percent compared to 12 months earlier, far lower than last year's target of around 15 percent. The compliance period also began a month earlier in October, when pollution is normally much lower. However, they are still struggling to meet targets. "With four months of the October-March period passed and two to go, it would take a very steep 20-percent reduction in February-March to get to the 3-percent reduction target," said Myllyvirta.